Life is not always easy, and we regularly fail in our attempts to live with compassion and stay true to our convictions. Each time we fall, we can pick ourselves up and move forward. Babaji says, Failure is the foundation of success. We learn how to achieve success by failing in our efforts. The main thing is to not stop the effort. In the spiritual path what are our expectations? Probably we want to be on the top of Mount Everest with very little experience in climbing. But if we go on climbing we can achieve success. The Dalai Lama says the same thing: Never give up. No matter what is going on around you, never give up. This poem by Portia Nelson tells the story of our lives in a very simple and elegant way. It is an excellent metaphor for our struggles to overcome our habits – and a reminder to keep trying. I am lost…..I am hopeless. I still fall in…..it’s a habit. 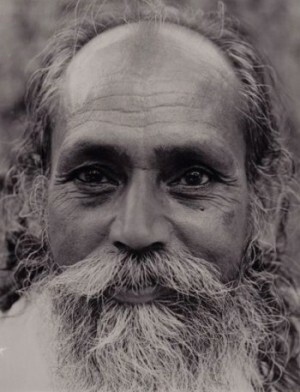 From Babaji: You start from where you are. Live a disciplined life, which will eliminate the burning desires for sense objects. Try to keep the mind equipoised in the pairs of opposites, and perform actions without egocentric desires. The world always pulls us to attachment, desires, lust, greed, etc. This is the natural flow of the mind in the world. It’s like a river that naturally flows down the slope of the land. But the aim of life is to get back to the source. So it means we have to climb up. 3 thoughts on "Don’t Give Up"
May these words of truth benefit each person who hears them. And next time we repeat a bad habit may we walk around it, utilising the experience we earned from the previous times we had to climb out. Since leaving salt spring after ytt about 4 years ago, my spiritual well being has increased so so much. I used to feel so worried, so panicked, so scared to make a mistake. When I was there i fell through some holes of my own from the habits of thinking and acting from the ways I had dealt with failings in the past. Sometimes is easier to just live in a hole, even if you are totally miserable, unhealthy and you feel like you are all alone. Why do that to yourself? Wake up! The individuals and community at the salt spring centre were like a platform for me to start to see and change the habits of my past. Seeing the habits was so horrific at a few points. But once you have seen them, its harder to repeat them because it would just be so unhealthy, unhelpful to yourself, to your community and to your society. When I started to see my past habits, I felt closer to my past than I ever have, I was closer to seeing what was really happening at those times – then when I was living them at that time! But i read recently from a writing on the prophet Solomon that – the past is the furthest thing away from mankind…the closest thing to mankind is death. We could die at anytime, we just don’t have time to live in those holes, or to spend so much of our precious lives getting out of them. The struggles and failures we have been through and that we go through give us the strength and confidence to get out of those holes as quickly and efficiently as we can. You and you alone have the responsibility to do that! Walk towards achieving the goals you seek, living the qualities you consciously choose to live by. Recognising the holes is one thing, having the strength and confidence to walk around them is another, and having the strength and confidence to get out of them is another. I am so happy to say that i now take responsibility to choose to walk around a lot of those holes as I walk towards achieving whatever goal is ahead of me. When I fell in them, I have the responsibility to check in, and see whats up. Just like the salt spring centre have check in circles. I pray for blessings and peace to surround all those individuals at the salt spring centre who had the patience and presence to help me through the process of breaking down the past habits which were stopping me, and so wonderfully accommodating me, feeding me and caring for me so so so well as I was going through such a difficult time. I teach yoga classes regularly and have actively helped to built up a wonderful community around me who live through the values I admired at the salt spring centre – patience, peacefulness, not letting material wealth be the highest wealth, working not for your own single benefit – but working for create wellness and wealth for other peoples lives, and creating a welcoming, friendly and honest atmosphere. Thank you for posting this sharada, and thank you and all the others at the salt spring centre who helped me to change my ways and help me on my way on the right path of peace.